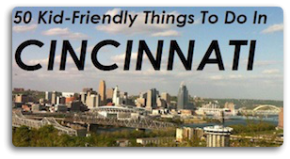 Another weekend is upon us and once again we’ve gone out searching for fun activities for greater Cincinnati families. As always, if you’ve got a fun event you’d like to share, please feel free to leave it in the comments — the more the merrier. Saturday the Amazing Race comes to Lebanon and we’re all invited! Kicking off at the Lebanon Sports Complex, participants will take part in fun team building activities from 9am – 12pm. Organizers are asking participants to bring non-perishable food items or monetary donation with proceeds going to Lebanon Food Pantries. Open to high schoolers and older; Event registration is required. Email [email protected] or call (513)702-4041 for more information. It’s Race time! Friday and Saturday the Crazy Cardboard Regatta takes over VOA Park in West Chester. This is sure to be a fun event. Check out post from earlier this week for complete details. Calling all golf fans! The Chiquita Classic comes to TPC River’s Bend in Maineville this weekend. Cost to attend is $30 for an all-event pass or just $10 per day. Event runs Friday (7:20am), Saturday (8am – 4pm), Sunday (8am – 4pm). For more information call (513)721-4653 or visit http://www.chiquitaclassic.com. Choo Choo! This Saturday head down to Covington and check out the Railway Museum of Greater Cincinnati. Visitors can climb aboard train as well as view their amazing collection. Cost is $4 adults, $2 for children 10 & under; open from 10am – 4pm. For complete details visit www.cincirailmuseum.org or call (513) 574-7672. Taft Museum of Art — Sundays are Free at the Taft Museum of Art! In addition to great self-guided tours just for children & families, the Taft offers children’s labels in the permanent collection with kid-friendly descriptions of many of the artworks. 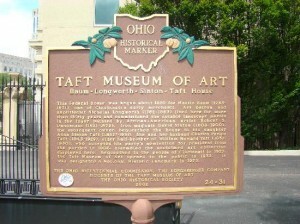 Visit www.taftmuseum.org for details. Perhaps your child is a budding artist? Saturday from 9:30am-4:30pm Funke Fired Arts is hosting “Cartoons & Characters” pottery painting class. Registration required and is available online at www.funkefiredarts.com or by calling (513) 871-2529. Open to children ages 7-16; Cost is $85. Like creepy-crawly things? Then you’ll love Hamilton County Park District’s PEST FEST, this weekend at Highfield Discovery Garden (Glenwood Gardens). 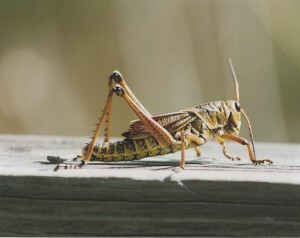 Free to attend, participants will learn about the role “pests and the guests” of the insect world play in our lives. Hours are Friday 10:45 a.m., 1 p.m., 4 p.m., Saturday 10:45 a.m., 1 p.m., 4 p.m., and Sunday 1 p.m., 4 p.m. For more information call (513) 521-7275 or visit www.greatparks.org. 1. Newport Branch Library hosts, Picnic Time Saturday from 11am to 1pm. Event includes light lunch, snow cones and a free book. Visit http://www.cc-pl.org or call (859) 572-5035. 2. Barnes and Noble hosts Perfect Picnic Story Time Saturday at its Montgomery Road location at 11am. For more information visit http://www.bn.com or call (513) 794-9440. Stop by Downtown Olde Montgomery Saturday from 12pm-11pm for the city’s Bastille Day celebration. Attendees will enjoy food from area restaurants, drinks a children’s game area, clowns, face painting and pony rides. Entertainment includes music by Sycamore Community Band, the Mystics, the Rusty Griswolds, Kevin Fox, Ridge Runner and Waiting on Ben. For more information call (513) 891-3263 or visit http://www.montgomeryohio.org. Here Ye, Here Ye! 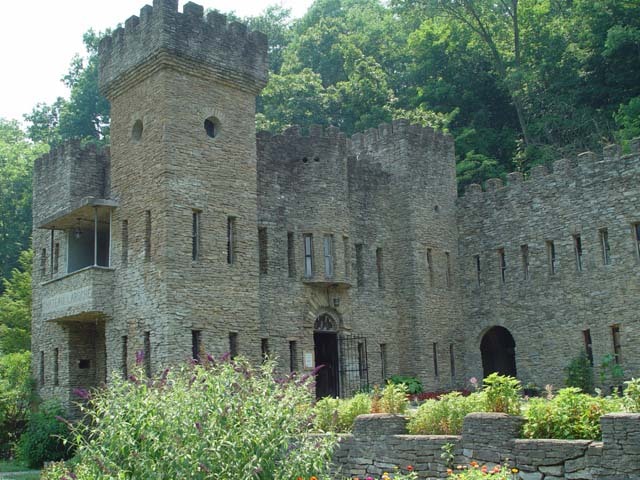 A Knight’s Tourney is coming to Loveland Castle on Saturday from 11am – 5pm! Fun includes sword fighting with the Pickled Brothers and a marketplace featuring handmade crafts by local artisans. Cost is $3; More information is available at (513) 683-4686 or visit www.lovelandcastle.com. Do your children enjoy doing crafts? Saturday from 1-3pm Scrap-Ink on Bridgetown Road is hosting Kids Club Krafts. Open to children ages 4-14 will learn basic elements of art, design and style. Cost is $10; registration is required. Visit http://www.scrap-ink.com or call (513) 389-0826.